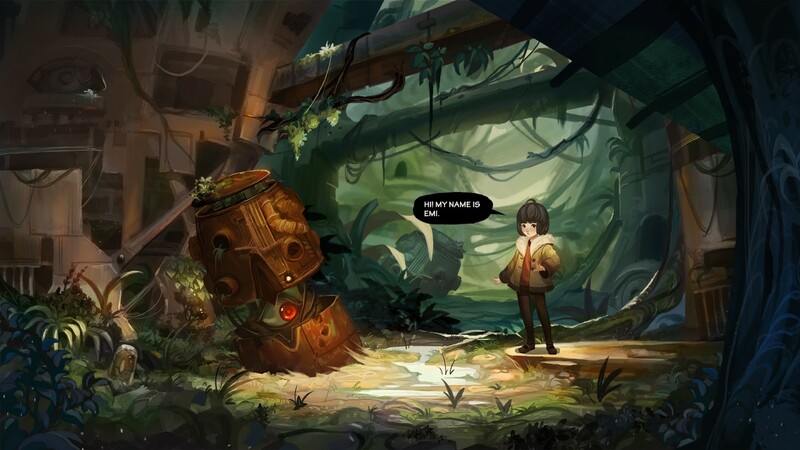 Story details are sparse so far, but the game stars a "young, inquisitive girl" named Emi, who in "seeking to be noticed and heard" undertakes a journey to "unearth secrets amidst the crumbling, war-torn city she’s called home." It'll be up to players to "help Emi understand and confront an ever encroaching twisted psychological and physical landscape." Through a combination of "audio logs, artifacts, atmospheric sound, and complex characters," you must begin to piece together a story that will "connect with echoes of the past and ponder themes of love, despair, compassion, inner strife, and closure." The early promotional materials for this "intimate hand-painted adventure" show off Fong's talent as an artist in depicting a world of "dystopian surrealism." In action, the goal is to present a game with "unique cinematic environments for a dynamic hand-crafted, story-book feel," accompanied by an atmospheric score with full voice acting from its characters. 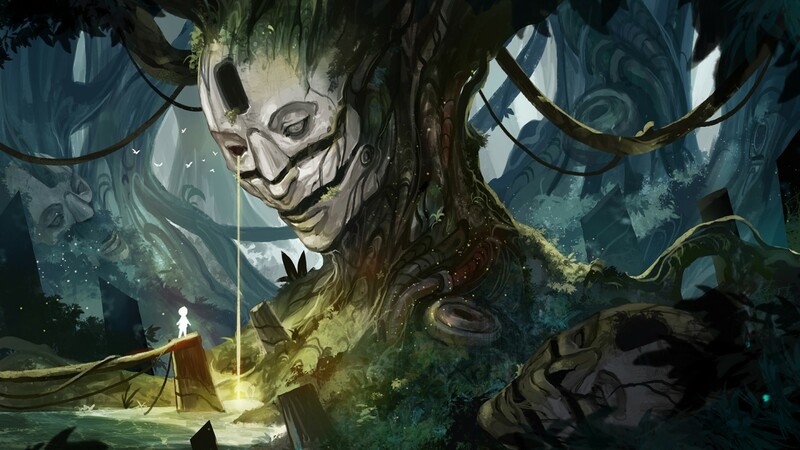 Exploration will be controlled via keyboard/mouse (or gamepad), with a variety of puzzles to solve along the way, immersing players in "both the larger, more scripted events, as well as many small mechanical interactions that connect them with Emi’s personality and experience." Produced in partnership with Serenity Forge, the release of In the Keeper's Shadow is still a way off, with a target completion date slated for sometime next year on Windows and Mac. While you wait, you can learn more about the game through the official website. A young, inquisitive girl named Emi journeys to unearth secrets amidst the crumbling, war-torn city she’s called home.